2016-2017 School Year Started. Should Your Kids Get Free and Reduced Price Lunch? School started! Over 100,000 public schools and nonprofit private schools offer free breakfasts, lunches, and sometimes even dinners to more than 31 million children! But over 1/3 of the families that are eligible for free and reduced price meals don't take advantage of the programs. How do you qualify for free and reduced price meals and milk? If you already get food assistance or cash benefits, you should qualify automatically. Otherwise, check your income on the chart below. If your income is within the guidelines, contact your school for a form to fill out. Your child's school may send a form home or you may have to go to the school office to get the form. Photo Credit: Tim Lauer. Used under a Creative Commons license. In some schools, the free/reduced price lunch enrollment will help you access additional benefits. For instance, in the Ann Arbor and Saline school districts, middle school and high school athletes can have "pay to play" athletic fees waived if they show they are enrolled in the free/reduced price lunch program. Also, note! Most children who are eligible for free and reduced price lunch are also eligible for either Medicaid or the MIChild Childrens' Health Insurance Program. 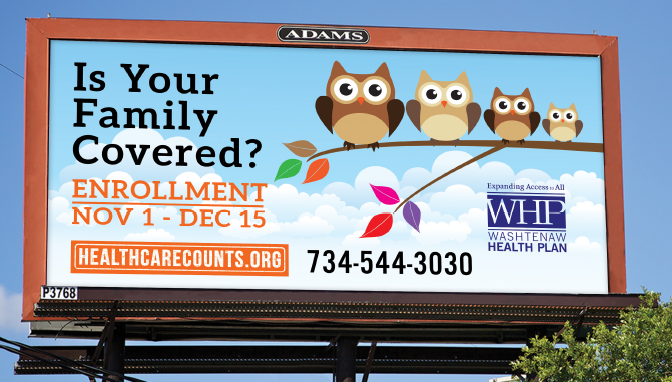 If you need help with that, call the Washtenaw Health Plan at (734) 544-3030 or get more information here.